In 1815, the bravery and gallantry of the ‘Waterloo Men’ changed our history forever. To immortalise the successful Waterloo campaign, the Duke of Wellington suggested that special medals be prepared. One of these was the famous Waterloo medal, to be given to all British soldiers. This was the first occasion when every soldier was honoured for their service with a medal, regardless of their rank or role. Although originally intended to be in bronze, the Prince Regent, later King George IV, decided that the medal should instead be minted in sterling silver. 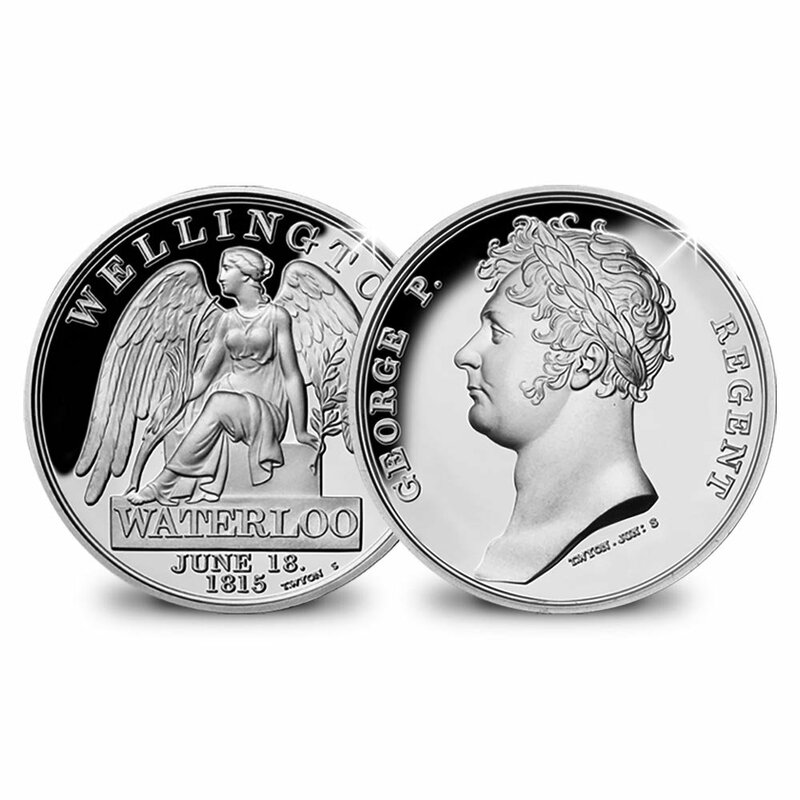 In the end 37,500 Waterloo Campaign Medals, in one-ounce silver, were struck. Today you can own a stunning limited edition commemorative issued with the exact design and specifications as its famous predecessor from 1815.